Dresses are an annual staple in every woman's closet. During the colder months, wear them with tights, boots, and a coat. In the summer go bare-legged and expose those curves. Nothing exudes femininity like a dress which is probably why it is one of the first things women grab when shopping. They are so easy to look fabulous in and need minimal styling. All you have to do is put it on to look made up, no need to wrack your brain for mix and match possibilities. Dresses are especially perfect for date nights. With Valentine's day coming up soon, we all need a dress that will make him or our girlfriends go "WOW". SHOP ROMWE's DRESS SALE HERE and get it for as low as P450/$9.99 with no extra cost for shipping. 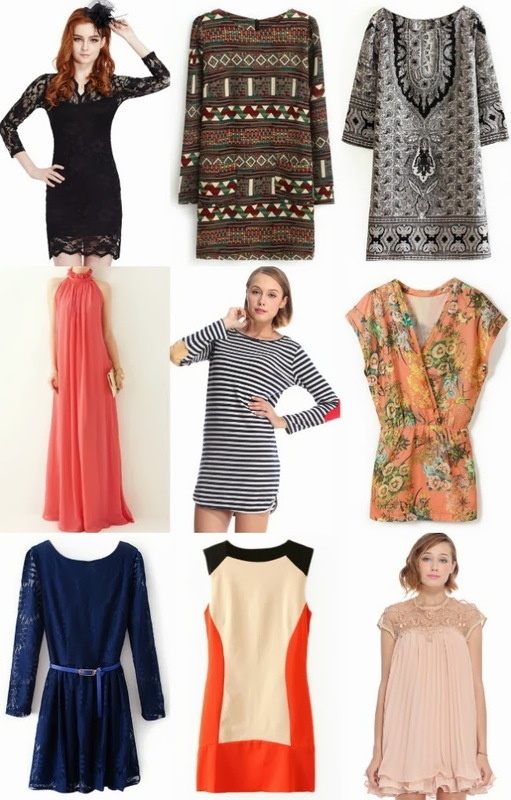 ROMWE's Dress Sale will be up for a limited time only so make sure to check out your options HERE. And while you're there, don't forget to check out their first BIG SALE of the year where over 1000 designs are on SALE. See it HERE. They look pretty and affordable ha!